Kremlin spokesman confirms Putin was brief on Israeli actions in Latakia, but says decision on Russia's next step is premature. A Kremlin spokesman confirmed on Friday that Russian President Vladimir Putin had been briefed on what an IDF delegation had to share with the Russian Defense Ministry on the downing of its jet in Syria, but stressed a decision on the Kremlin’s next step was premature. "It is too early to ask about that. You should ask the Defense Ministry," the spokesman, Dmitry Peskov, told reporters in Moscow when asked about the Russian government’s future relationship with Israel, according to the Sputnik news agency. 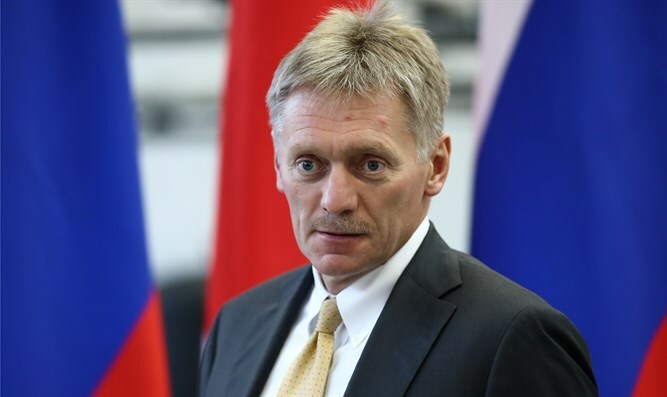 Peskov confirmed that Putin was "aware of the information" presented by Israel, but added this was "special data," and only military experts were capable of saying whether it was satisfactory. Earlier on Friday, the commander of the Israel Air Force, Amikam Norkin, returned from Russia after meeting his Russian counterpart and briefing him on the attack in Latakia on Monday night. The IAF delegation headed by Norkin presented the Russians with full information regarding Iranian activity in Syria, as well as the operation in Latakia. During an Israeli missile strike in Latakia overnight Monday, a Russian plane was downed by Syria's Russian-made S-200 air defense system, killing all 15 crew members aboard. The Russian Defense Ministry initially blamed Israel for the downing of the plane. The IDF denied the Russian claim, stating that Israeli aircraft had already returned to Israel airspace when the Russian plane was shot down. Later, Putin said that he backed the Russian Defense Ministry statement accusing Israel of downing the reconnaissance plane, but added that the incident appeared to be an accident.